The most difficult trail my son and I have done to date in New Jersey. this is the place. Good luck. Review: Tough and technical trails here. Not for the beginner ride. Came here with my brother, we both spent a good amount hiking the bike around the harder terrain areas. 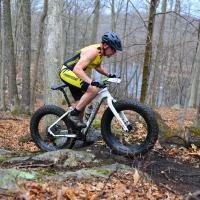 Review: Hilly, rocks, and streams. Bad markings. Yes got lost, walked up rocky steep inclines. Took the white trail. After playing cyclecross umph times, found some nice single track, but I think that's how I got lost. Ended up going to South side, out of the wood and took pavement 10 miles back. With a group and they preferred to go around instead of back over. Thus was not a fun day. 6 mile, Lewis Park, is my skill level. 15% for a long rocky, wet climb was too much for me this day. Mountain 1 mountain Biker 0.
Review: This park is certainly tough on the legs with the difficult rocky climbs. This is not a place for intermediate riders as they may find themselves walking their bike through the more difficult sections. Nothing against this place but I definitely don't agree with the #1 MTB park in NJ since your average rider would struggle to conquer it. Review: The toughest ride i have been on in a while. Crazy climbs. Technical and nob forgiving. Great challenge. Review: Great place to do some technical riding. Most of the trails have significant ups and downs. Bring your skills and agility. Make sure to get a map or better of an app called Maprika otherwise it's very easy to get lost. You have to do some of the unblazed trail don't just go on the marked trails. Most popular trails here are lumpy bumpy and Rollie Pollie. Review: This park is great! Very challenging,ridiculous uphills, crazy intense downhills, and a little of everything in between. You must bring a detailed map or you will get lost, no doubt. And lots of water. Be prepared to come back several times to explore everything this park has to offer. Also connects to deer park and stephens park. Never ending fun awaits. Message me, trailmanvin , if you ever want a nice tour or just want to ride. I live on cranberry lake now, always fun to ride with great people! Review: Today, I called he trail wet. It was a little more wet in the usual places, with a few other wet spots. But over all dry. Review: Absolutely the best place in NJ. Need to dig deep to climb these trails but totally worth it. Review: Great place to ride. 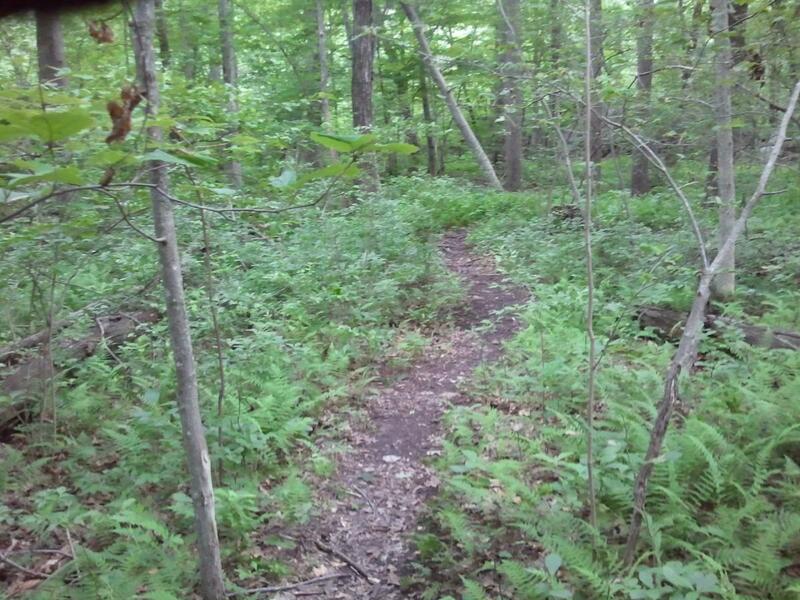 White trail starts out as mostly doubletrack with crazy climbs, but turns into singletrack. The green trail doesn't drain too well, but (in my opinion) the best trail in the park, called Lumpy Bumpy, is near the green trail and it is necessary to ride the green trail to get to Lumpy Bumpy. Most of the fun stuff, including Lumpy Bumpy, are all unmarked, so be ready to spend a lot of time at the park! The east side of the park is very rocky and steep, while the west side is pretty smooth comparably. Overall a great ride, you just need to dig deep. 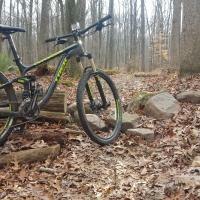 Allamuchy State Park-North MTB Trail 4.65 out of 5 based on 12 ratings. 12 user reviews.